Rodney Atkins Announces 2018 Fan Club Party! Tickets on Sale 5/15! 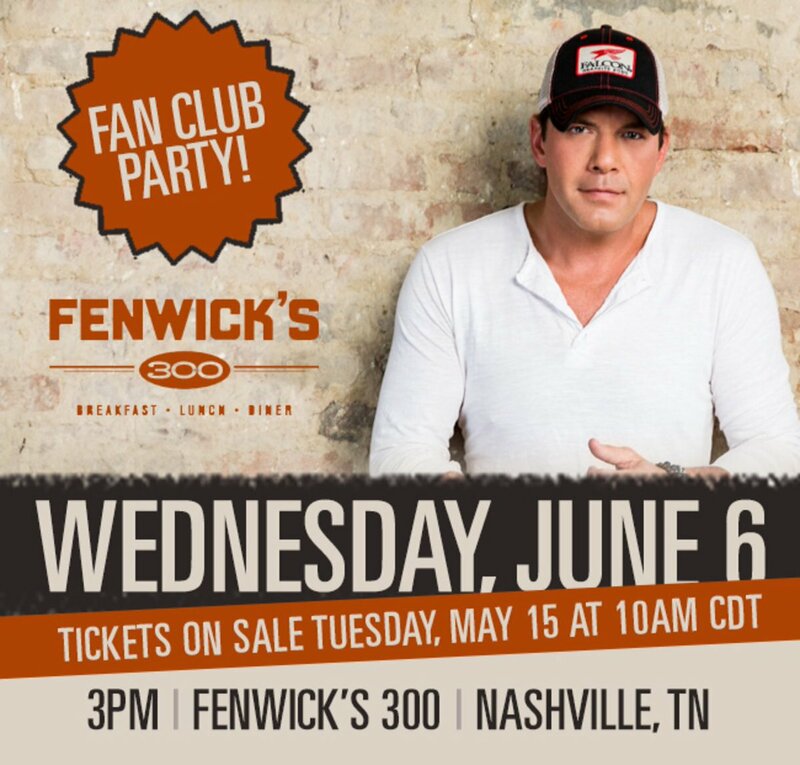 Rodney Atkins 2018 Fan Club Party will be held at Fenwick's 300 on Wednesday, June 6th at 3 PM. Tickets are $15 and available to fan club members only. Fan club members should log in to retrieve the link to purchase tickets beginning on Tuesday, May 15th at 10 AM CT.
Tickets: $15 / Fan Club Members only. Join here for $9.95!